As always, the media have been smiling on Table Tonic the past few weeks (yay!). 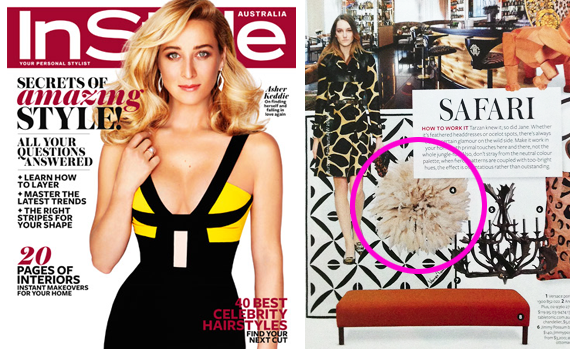 (above) A Table Tonic Juju Hat in August InStyle magazine. (above) Our Hobnail candle (they smell ah-maaaazing!) 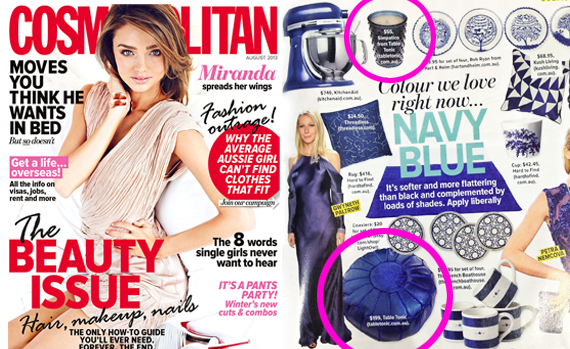 and Moroccan Leather Pouffe in August Cosmopolitan Magazine. (above) Our beautiful Thomas Paul Whale Tea Towel (begging to be framed) in Adore Home magazine. 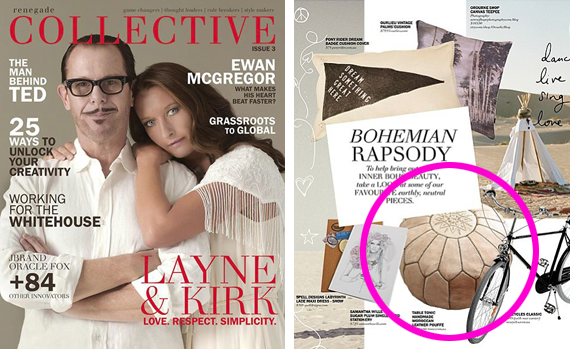 (above) Our Natural Moroccan Leather Pouffe (one of our best sellers) in Collective mag. 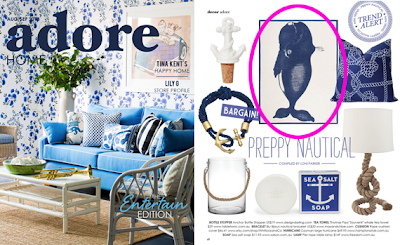 (above) That's our house in the latest issue of Shop til you Drop magazine!